What's this? 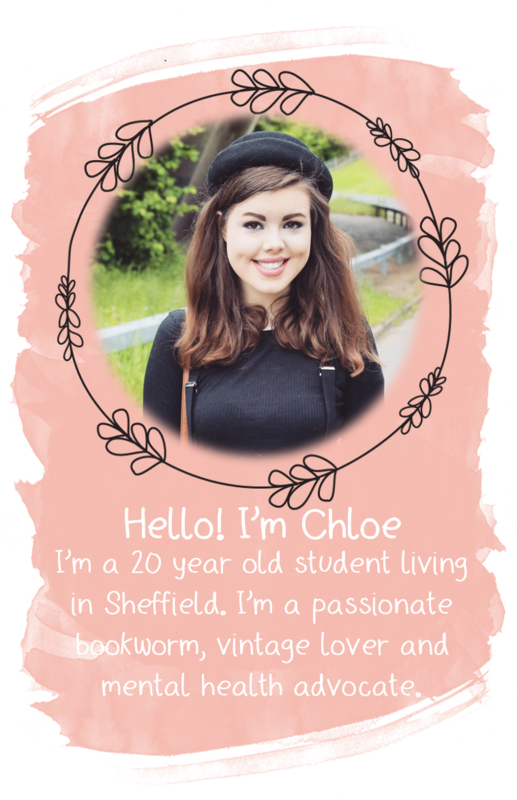 The return of the beauty post here on Yours, Chloe. You bet. Now that we're well into the winter months, good skincare is more important than ever. Your skin can get a proper battering from the winter wind so it's well due some proper TLC. Enter my new favourite skincare product: the Ultrabland cleanser from our good friends at Lush. Ultrabland is not a new product to my skincare routine, it's an old friend that I've recently reunited with (and boy does it feel good). 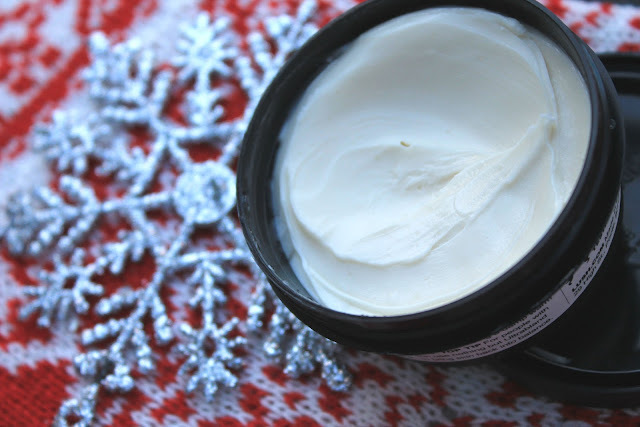 It's based on the old-school beauty staple of cold cream - ask your nan - and it's known to be a bit of a miracle product for blemish-prone skin. Ultrabland also works really well for hydrating the skin, leaving it glowing. One of the key ingredients in Ultrabland is beeswax, known for its antiseptic and magical moisturising powers. 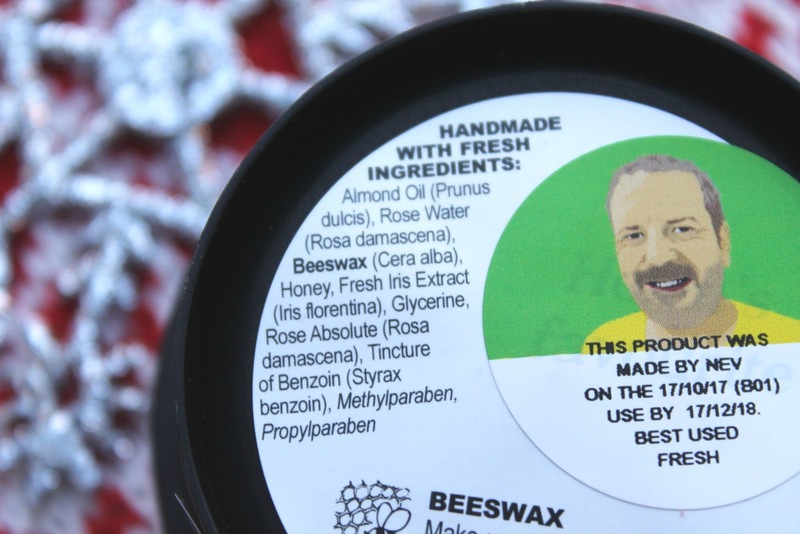 The beeswax is the key ingredient in removing the days makeup as it works to melt the waxes found in makeup, leaving your face slap-free and squeaky clean. 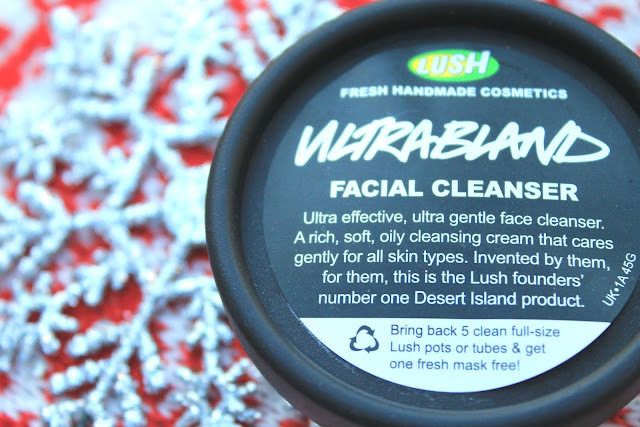 Ultrabland also includes Rose Water - which will calm and soothe your skin - and Almond Oil which will hydrate it like there's no tomorrow. As with many Lush products it's best to play about with them a bit and discover the way of using them that works best for you. Personally, I like to take a 50p sized amount and dot it around my face. I then rub it in really well for several minutes before washing it off with a warm damp flannel. Depending on how much makeup I'm wearing that particular day, I sometimes will need to repeat this before my face is completely bare and ready for the next step of my skincare routine. As a balm cleanser, Ultrabland does have a rather thick consistency but this is something you get used to with time. I always find it works best if you warm it up slightly in your hands before applying to your face. In terms of how effective it is, Ultrabland does exactly what it says on the tin. It's gentle but still works really well at getting rid of the days makeup, dirt and grime. Just a few days use of the product will leave your skin feeling soft and supple; enough for my boyfriend to notice, yes it's that good even a bloke can tell! It also works wonders on tackling those pesky blemishes, as my skin has had a considerable transformation after just two weeks use. 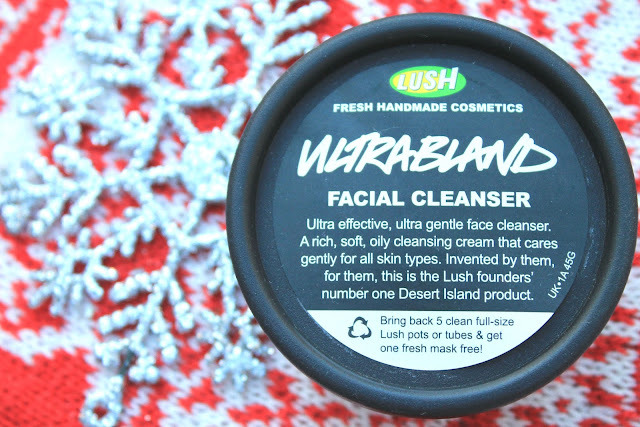 If you're looking to revamp your skincare routine or to add a new beauty product to your list for Santa then I'd definitely recommend Ultrabland. It's returned to its place as a staple in my skincare routine and I think it's going to be staying put for a long time. Ultrabland is priced at £7.95 for a 45g pot. Have you ever tried Ultrabland?